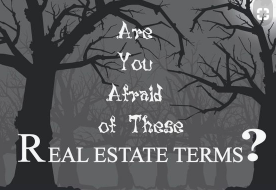 Scary Real Estate Terms Explained! With October and Halloween just around the corner, we wanted to shed some light on some Real Estate terms that might seem scary. We promise, they aren't as chilling and daunting as they seem.